Will the attempt to recover the first stage booster? Where will the first stage booster land? 12th flight of a Cygnus spacecraft, 8th flight of the Enhanced version. 5th flight of an Antares 230 rocket. 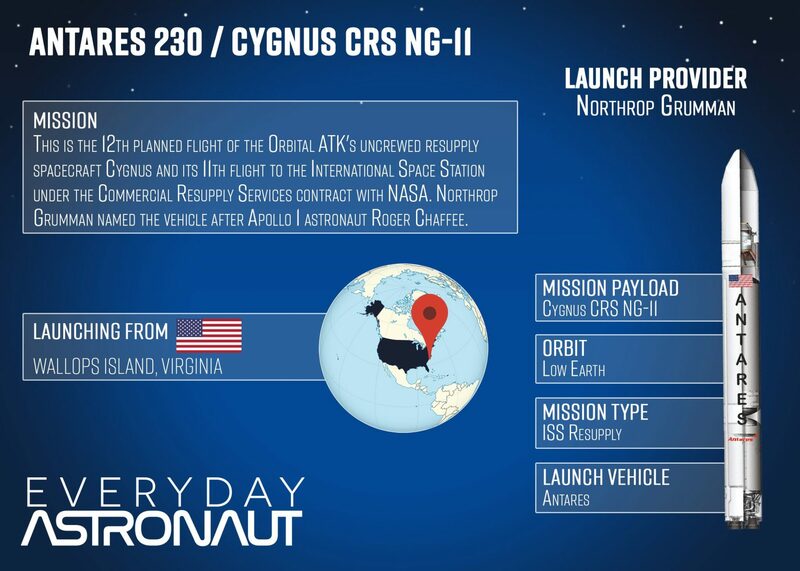 Final CRS-1 mission for Northrop Grumman. 1st mission for Northrup Grumman in 2019. 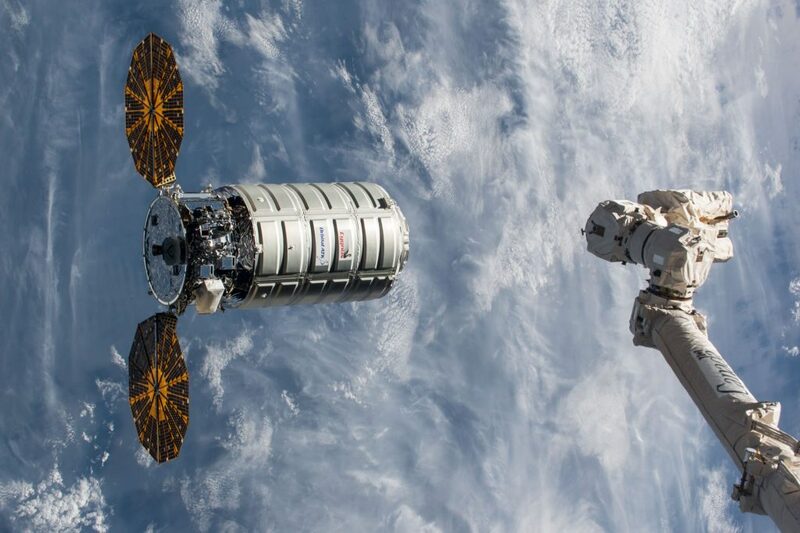 Northrop Grumman will be launching an Enhanced Cygnus spacecraft on a cargo resupply mission to the International Space Station for NASA. The Cygnus will launch on Antares 230 rocket from Launch Pad 0 (LP-0) at the Mid-Atlantic Regional Spaceport (MARS) in Wallops Island, VA. The Antares 230 is powered by two RD-181 engines, burning RP-1 and liquid oxygen in the first stage. The second stage has a single solid fuel Castor 30XL motor. This Cygnus spacecraft is named after Roger Chafee. He was an aviator in the U.S. Navy before NASA selected him to be an astronaut in 1963. Three years later, he was assigned to the crew of Apollo 1, joining Gus Grissom and Ed White. 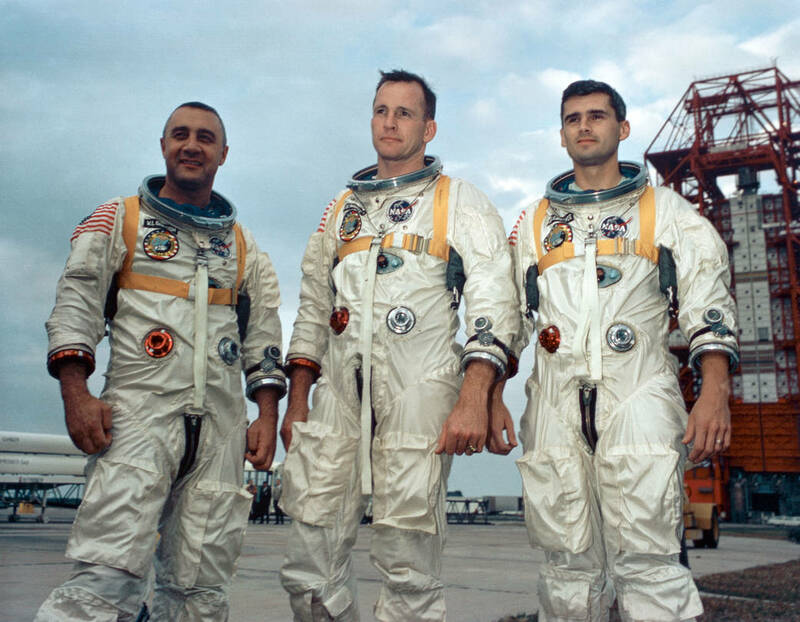 All three were tragically killed in 1967 when they were unable to escape the command module after an electrical spark started a fire during a test on the launch pad. Scientific experiments carried on-board the Cygnus include the Advanced Colloids Experiment-Temperature-10, which will study crystal nucleation in colloidal fluids; a Bio-Analyzer provided by the Canadian Space Agency (CSA), which performs quantification of biological molecules and cellular composition; and three Astrobees, free-flying, cube-shaped robots to assist astronauts with routine chores and give ground controllers additional eyes and ears on the space station. The Cygnus spacecraft will reach the International Space Station a couple of days after launch. It will navigate to a position close enough to be grappled by the Canadarm 2 and then berthed to the station. It is expected to stay at the station for approximately three months. Once it is unberthed from the ISS and released by Canadarm 2, it will move into a position above the station where it can safely deploy some CubeSats for NanoRacks customers. It will then begin an extended mission until December when it will reenter and burn up in the Earth’s atmosphere. 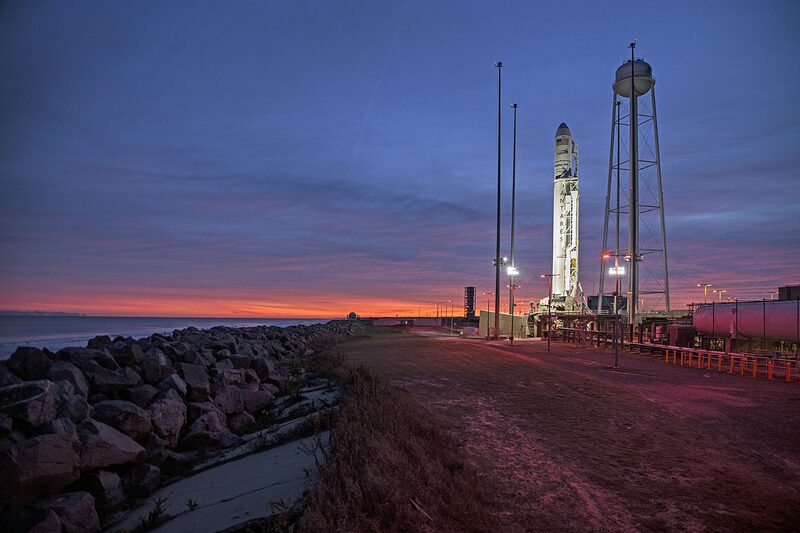 NASA TV will provide coverage of the launch and the arrival of the Cygnus to the International Space Station. If you want the best way to know when a launch is coming, I’d suggest downloading the NextSpaceflight app to stay in the know!